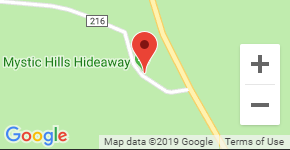 Mystic Hills Hideaway is a premier OHV and snowmobile destination resort featuring 14 cabins and rental units, 70 full hookup sites including big rig campsites capable of accommodating toy haulers and large RVs and camping spots reserved for summer-long campers. Our facilities include a lodge with a fireplace, a full menu restaurant, a shower house, and a playground. We offer a year round stay and play destination with ATV / UTV riding in the spring, summer, and fall and snowmobile riding in the winter. Mystic Hills Hideaway is uniquely situated in the Black Hills National Forest ¾ of a mile off highway 385 providing a quiet, traffic-free experience. We are perfectly situated on Custer Peak Road with immediate access to the ATV and Snowmobile trails right from our backyard. Enjoy a meal at our Lodge and ride off into the wilderness for a full day of adventure. Mystic Hills Hideaway maintains a large fleet of ATVs and UTVs in the Northern Black Hills, including Yamaha 4-wheelers, Yamaha X2 side-by-sides, Yamaha 3 seaters, Yamaha X4 4-seaters, and Kawasaki 5-seaters. For snow lovers, our fleet of Yamaha snowmobiles is capable of accommodating one rider, two riders, or even a small family by hooking up to our 2 passenger ride-behind Snow Coach Sled. Book a Phazer, Vector or Venture. If you are looking to explore the Black Hills National Forest OHV or Snowmobile Trails, relax in a Black Hills Cabin and enjoy a quiet and friendly environment. Mystic Hills Hideaway is your perfect destination.